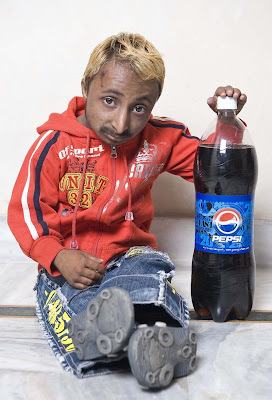 Aditya ‘Romeo’ Dev is a body builder with dwarfism made famous by being reported in the UK press in February 2008. 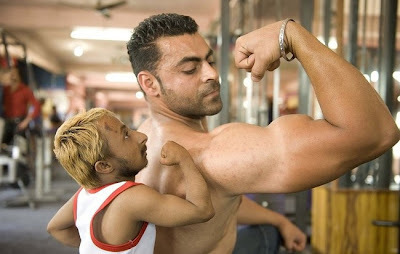 Romeo can shoulder press custom made 1.5kg dumbbells, a notable feat given his 9kg (20 lbs.) 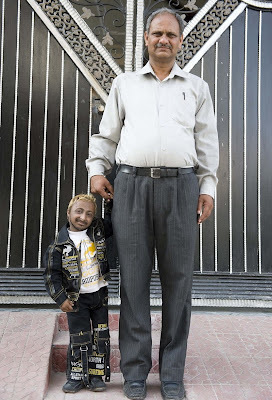 body weight and 2′ 9″ stature. 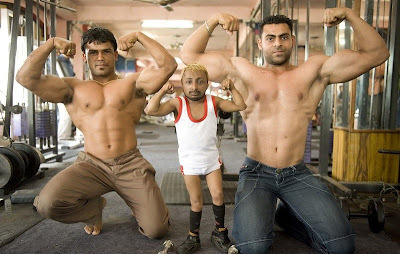 Although it has not been published in a Guinness World Records book, in 2006 they recognized him to be the “world’s smallest bodybuilder”. 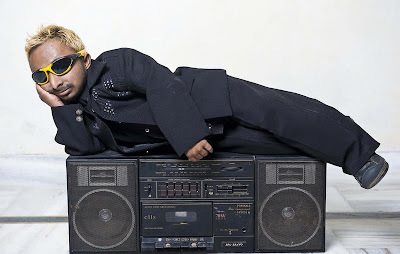 Romeo enjoys great fame in his home country and makes many appearances on local television to show off his dancing abilities. In addition to bodybuilding, Romeo’s dream is to travel extensively as an entertainer and dancer. 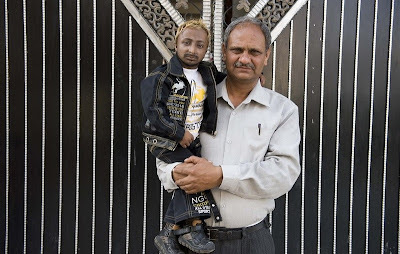 One day he hopes to perform in London with his idol Jazzy B. 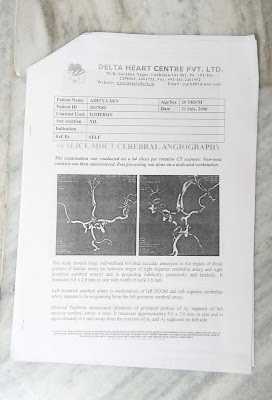 In summer of 2008, Aditya was diagnosed with aneurysms which, if left untreated, are a serious threat to his life. 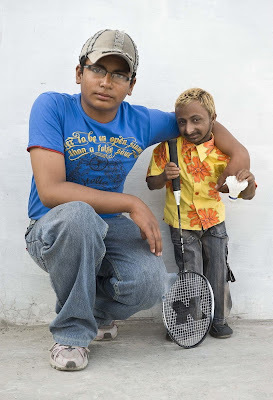 Aneurysms and Moyamoya are common symptoms of the syndrome MOPD II, which is the cause of Aditya’s small stature. 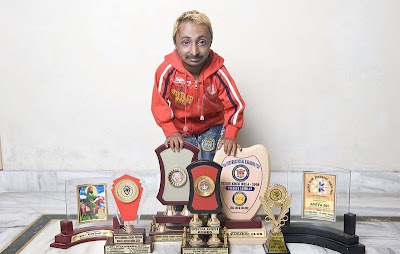 Pint-sized Romeo is well-known in his hometown of Phagwara, India - for his ability to lift 1.5kg dumbbells - despite his overall 9kg body weight. 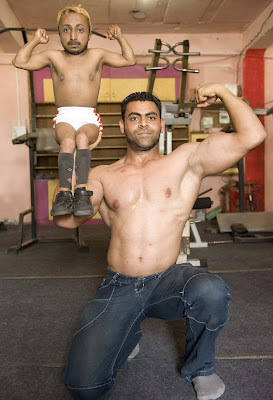 Every day, crowds flock to the local gym to the see the mini-muscleman in training. 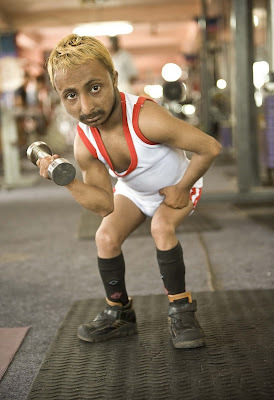 He could also be the worlds smallest dancer.